NSDL has released File Validation Utility Version 3.3. The new features of the same are being described in this blog. For Quarter III eTDS filing, both FVU version 3.3 and FVU Version 3.2 can be used. Files validated with FVU will be encrypted . Both regular and correction files will be encrypted. If deductee record flag contains “C” to indicate penal rate and rate of deduction of less than 20%, a warning will be generated by FVU 3.3 which will contain details of such inconsistent deductee records. Change applicable for FY 2010-11 onwards. 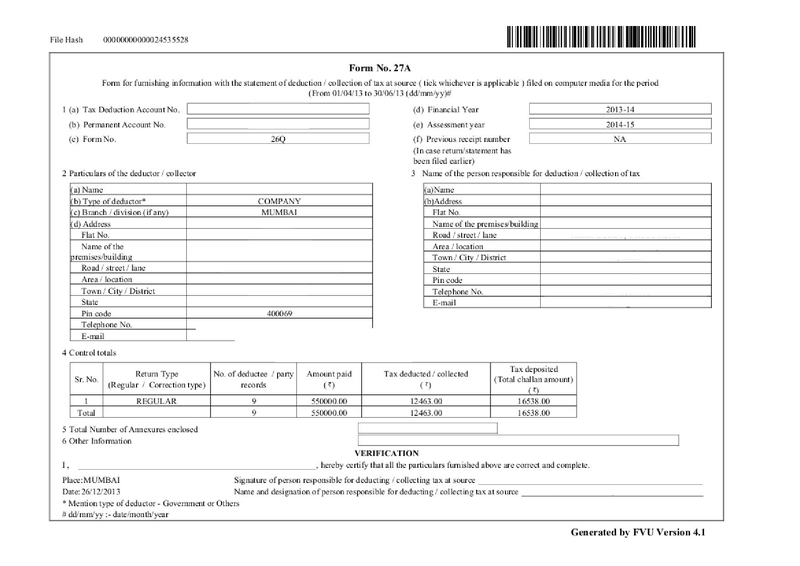 Deductee records with flag “C” indicate deduction at penal rate of 20% in case of deductees not having valid PAN. Correction statement will also contain Hash Value as per consolidated FVU file – which is used for preparation of correction statement. All files validated will be encrypted. eTDS Correction statements are to be filed to rectify any error / omission in the original statement. The need to file eTDS correction also arises because of 85%/ 95% valid PAN requirement for filing eTDS statement. Why file eTDS Correction ? What cannot be corrected ? TAN, Form no., quarter, FY and A.Y quoted in a regular statement cannot be updated by furnishing a correction statement. For this file a cancellation statement , followed by a new regular statement. Check the status of the regular statement on the TIN website by entering the TAN and PRN. correction statement should be prepared only if the corresponding regular statement has been accepted at the TIN central system. NSDL has started facility of online TAN registration.